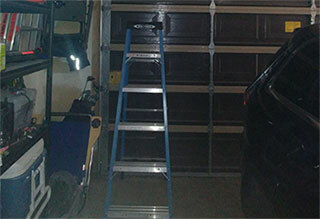 Home Our Garage Door Services Garage Door Maintenance What Do I Need For Garage Door Maintenance? What Do I Need For Garage Door Maintenance? With proper and regular maintenance you can enjoy greater convenience, security, and safety. The door will be at lower risk of major damage and hopefully, come with a longer shelf life. In order to provide your door with the necessary checks and maintenance, it's also important to have the right tools to hand - read on for our recommendations! A cleaner is the first product which you require. We recommend products designed to remove stains, dirt, mildew and grease. At the same time, you should make sure they're safe for use on your panels as well as the moving garage door parts. Trisodium phosphate (TSP) is one option. It can readily be found in most stores. Alternatively, it may actually be possible to use a laundry detergent, just as long as you ensure the other ingredients are safe. Paint is another product which you will likely need for annual maintenance, and touching up your door. Its job is to protect the panels from damage, and moisture damage in particular. It can reduce the need for panel repair and premature replacement greatly. The choice of paint you need will depend on the type of material your panels are made from - the most widely used steel models usually require latex paint. It's also important to confirm that the paint you buy is suitable for outdoor use and weather-resistant. A good solvent should be used for the cleaning of the moving metal parts of the door. It is effective for removing rust even from thick torsion coil trampoline springs. Citrus-based solvents are usually suitable for the job as they are not harsh. In addition, their main active ingredients are natural. We also recommend consulting your owner's manual when it comes to sourcing any cleaning product, if the manufacturer recommends a particular product, you should definitely consider it. A lubricant is necessary to keep your system well-oiled. You should use a light non-sticky product for lubricating the moving metal parts from the spring to the rollers. Again, you should check what the manufacturer of your door recommends. Some companies suggest the use of light household oil designed for multiple purposes. Before you apply any product, confirm it is OK for your system - if there isn't anything specific mentioned in the manual, give us a call at Garage Door Repair Laveen for assistance.